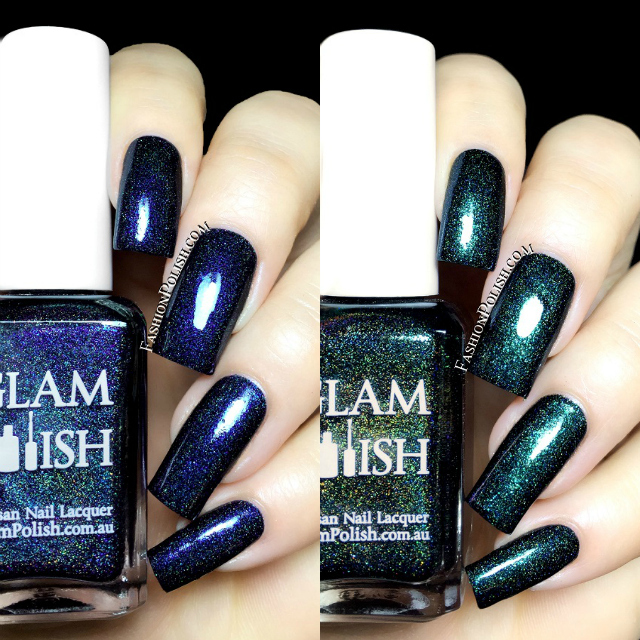 Fashion Polish: Glam Polish Mei Mei's Signatures exclusive limited edition Dark Terror Duo! Glam Polish Mei Mei's Signatures exclusive limited edition Dark Terror Duo! And... I'm back with the Glam Polish Dark Terror Duo! A couple of months ago, Glam Polish released a Mei Mei's Signatures exclusive called the Gruesome Movie Duo. The demand was so huge that they decided to create a new set of vampy, ultra sparkly holos. Let's give them a closer look! 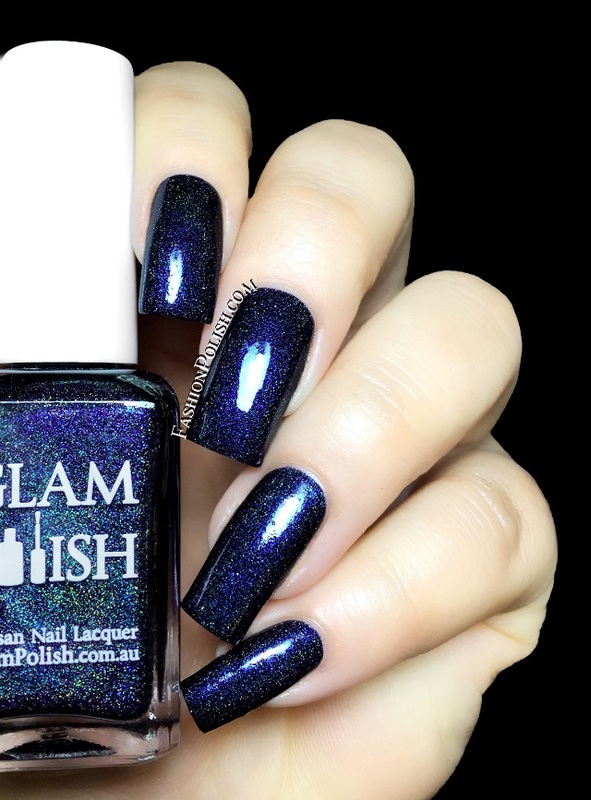 Black Water is a midnight blue holo packes with dark blue sparkles. High pigmentation and flawless formula, shown below : 2 coats plus topcoat. 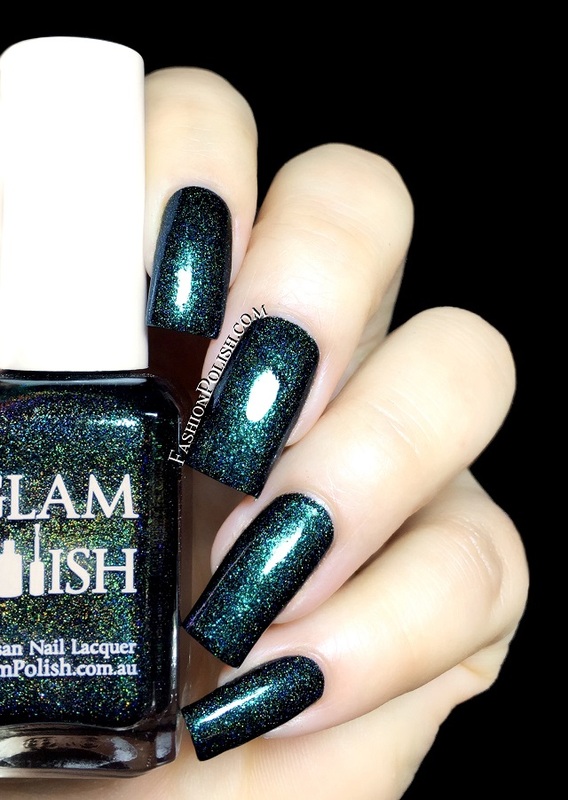 Don't Go In The Woods is a blackened teal holo packed with bright turquoise shimmers. Another gorgeous vampy with nice and easy application. I also used 2 coats plus topcoat in my swatch.